iRealHousewives | The 411 On American + International Real Housewives: The Real Housewives Of Orange County Season 12 Reunion Seating Revealed! 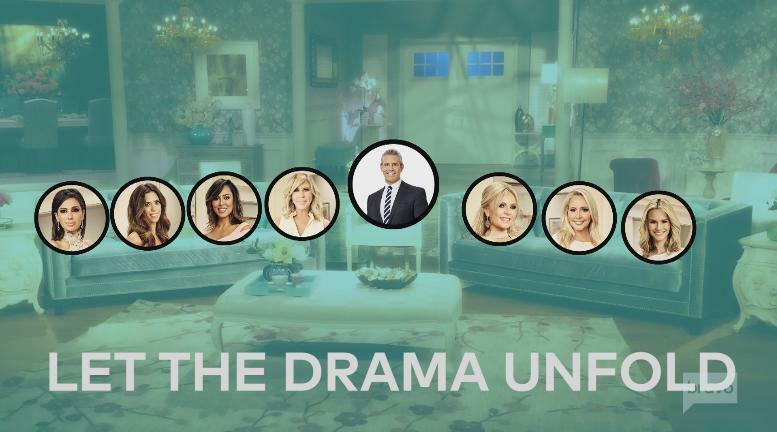 The Real Housewives Of Orange County Season 12 Reunion Seating Revealed! The Real Housewives of Orange County Season 12 Reunion was filmed on Friday, October 27. At the moment there's not a lot of info about the reunion taping but we can sure expect glamour, tears, a lot of drama and plenty of screaming matches. Bravo revealed the cast seating chart for the upcoming reunion special. Check it out below! As always, reunion host Andy Cohen is seated right in the middle. On one side, we have Vicki Gunvalson, Kelly Dodd, Lydia McLaughlin and newbie Peggy Sulahian. Then on Andy's other side, there's Tamra Judge, Shannon Beador and Meghan King Edmonds. At the moment, it's been confirmed that Shannon Beador revealed to her co-stars the news of her separation from David, her husband of 17 years at the Season 12 reunion special, according to PEOPLE.